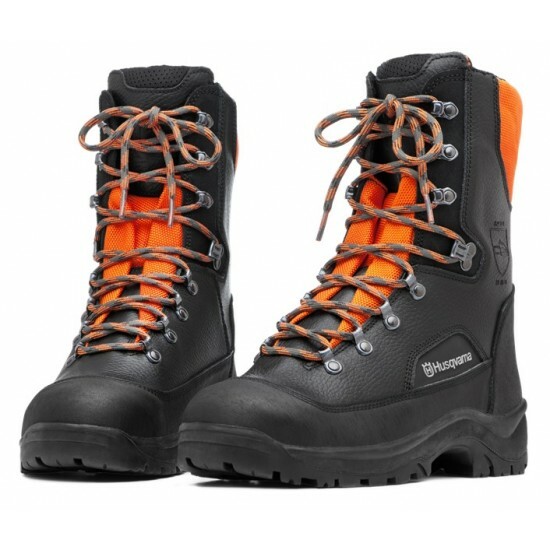 Robust, yet lightweight and comfortable boots with overlapping saw protection 20 m/s for increased life span. Made of leather, microfiber reinforcements and polyester mesh lining. Reinforced lower parts and heel area means good resistance to wear and great stability for ankles and feet. The removable foot beds are washable.